The eagerly-anticipated zebra has been delighting jazz fans in the P-O every autumn since 1988! In this, its 30th year, the iconic festival is bursting with exciting concerts, unusual events and local heritage promotion. 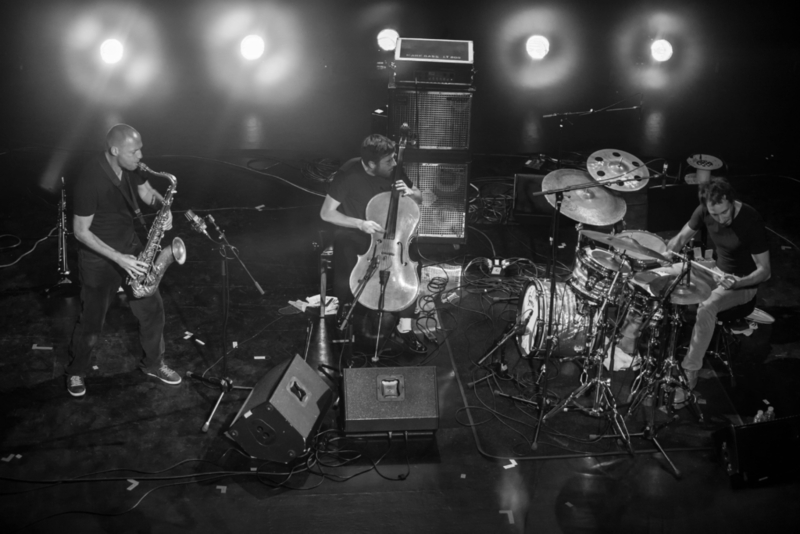 With yet another astonishing programme of contemporary jazz and world music concerts at venues around the region, music-lovers will once again be spoilt for choice. The line up boasts established names and emerging talents from the local, national and international scene. Bigger events are already selling out fast so if you’re thinking of going, book ASAP! 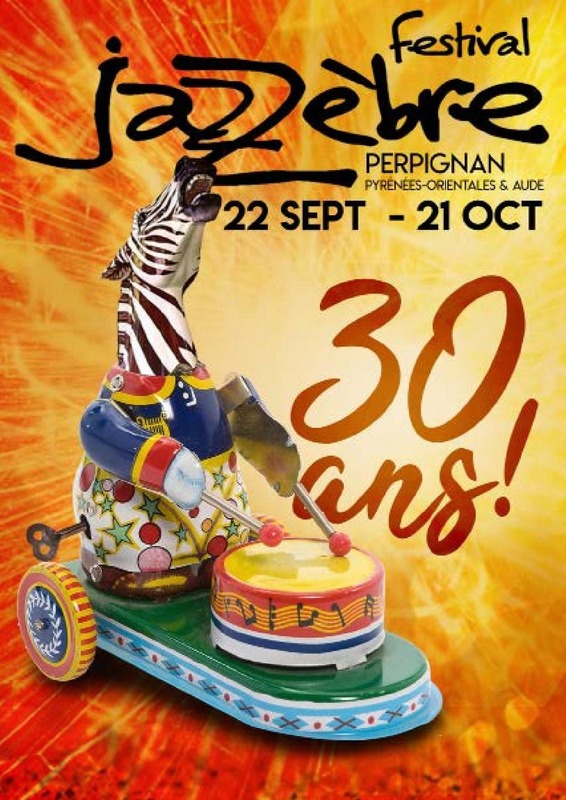 The Montpellier-based trumpeter and long-standing festival patron, Michel MARRE, returns to Perpignan 23 years after his initial project, Sardanajazz. 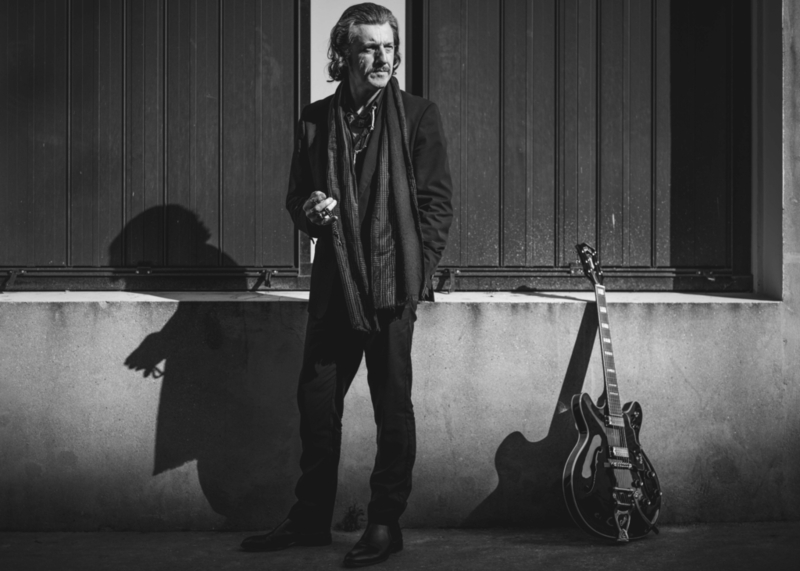 With his unique vision and extraordinary composing skills, he once again combines the latest in contemporary jazz with the traditional Catalan music of la cobla Mil-lenaria. Roberto Fonseca is one of Cuba’s most sought-after musicians, acclaim indeed for an island with such renowned musical heritage. 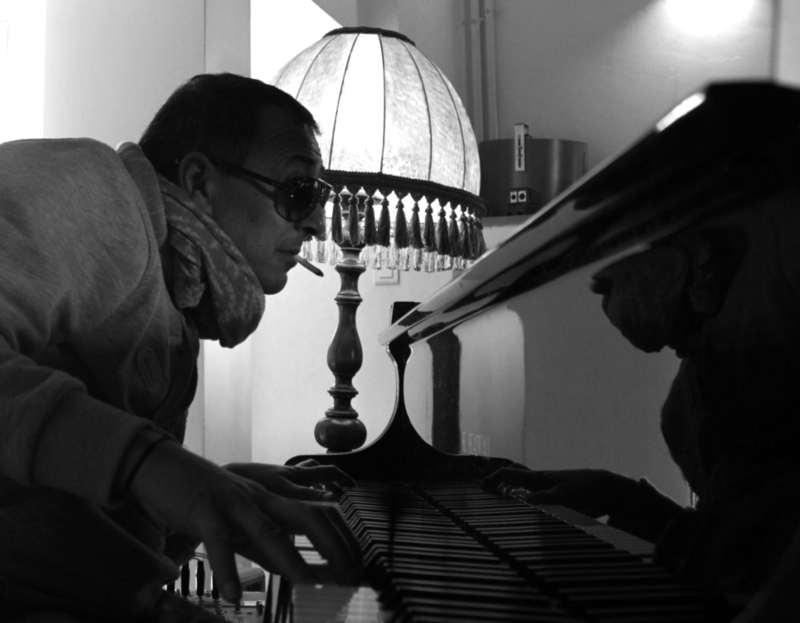 Since starting his career fifteen years ago as part of Ibrahim Ferrer’s legendary Buena Vista Social Club, the young pianist has become a charismatic and prolific leader of his industry. With influences ranging from contemporary jazz, classical Bach and his traditional African roots, this Cuban musician is constantly pushing the boundaries of jazz and world music. From 27€. Buy tickets here. Bring along your blankets and hampers, with a nice, chilled bottle of something or other. Stroll through some of the region’s most beautiful scenery, interspersed with regular musical interludes, before settling down to watch the day’s final concert. 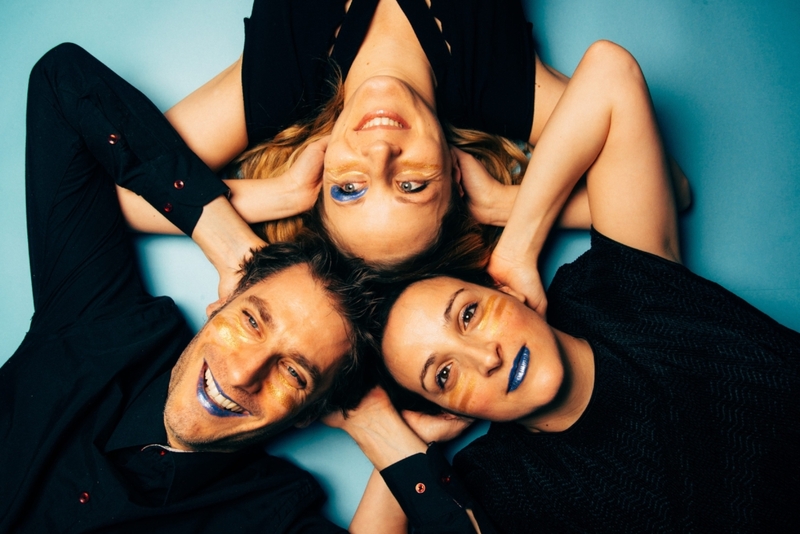 La Fanfare du Festival & 4Lands – take part in the guided cycle from Perpignan or join the party in the gardens before enjoying a concert from string trio, Zephyr, accompanied by vocalist/percussist, Germain Lebot. From 9€ Buy tickets here. 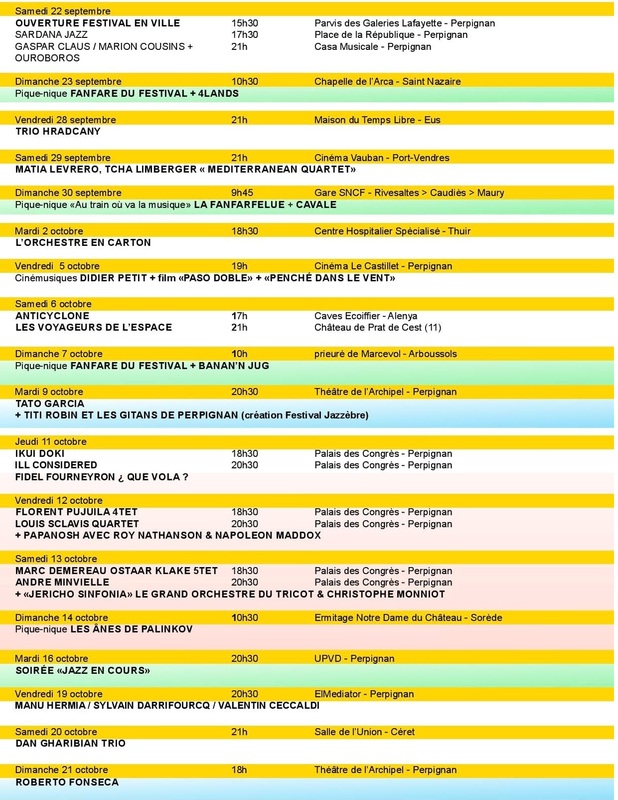 La Fanfarfelue & Cavale – Train Rougetake the emblematic from Rivesaltes with musical performances at each station. Then marvel at the unique cinematic repertoire covering jazz, world music, rock and more. From 13€ Buy tickets here. 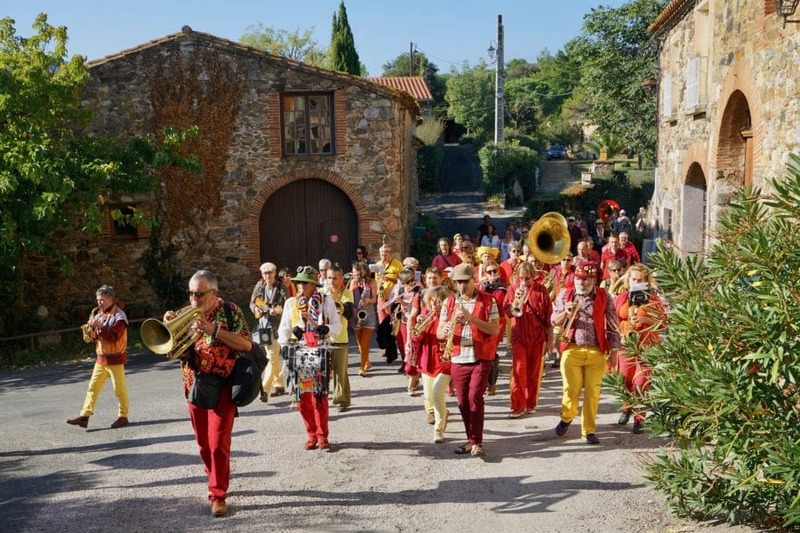 7th Oct 10.30am Prieuré de Marcevol, Arboussols Fanfare du Festival & Banan’n Jug – After a stroll through the aromatic gardens, with musical blooms cropping up all over, enjoy a performance from 4 swing sisters, oozing authentic vintage style. From 9€ Buy tickets here. 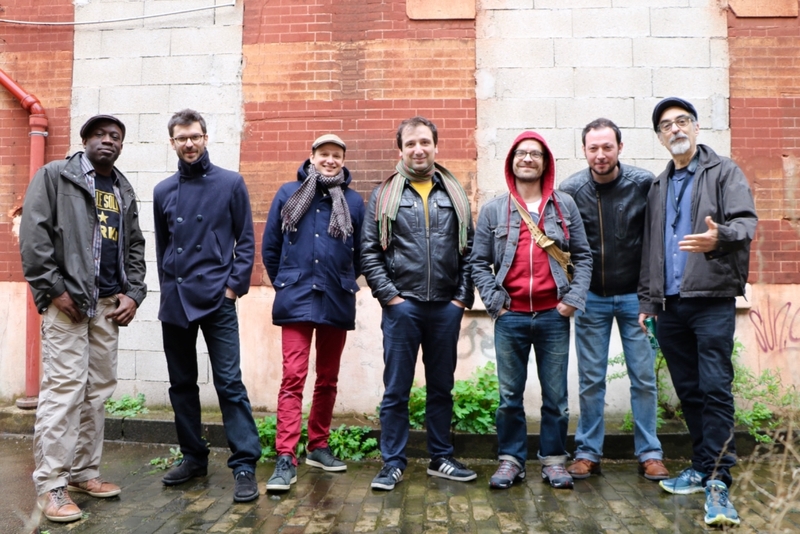 14th Oct 10.30am Ermitage Notre Dame du Château, Sorède Les Ânes de Palkinov – 6 musicians form an explosive, humorous and atypical brass band. Exploring the strange and intriguing world of Eastern Europe (Bulgaria, Macedonia and Romania), this promises to be moment of celebration and madness not to be missed! From 9€ Buy tickets here.